The world for both employers and those seeking work is constantly changing. We run a series of events each year to help keep abreast of these changes. National and local politics, the economy, technology and the ever-changing expectations of customers are just a few of the issues that face employers and those seeking work. Change has always been a part of business and experts seem to agree that the pace of change has never been so rapid as it is today. Since 1997 we have been providing recruitment services from our base in Stroud. 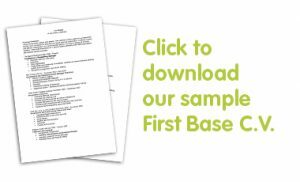 We recently launched the First Base ‘Better Recruitment Campaign’ – providing useful information and guidance to local organisations about how to attract, recruit and retain the best employees. Getting young people ready for the world of work is one of our passions and we support the Skills for Stroud Employability Charter. 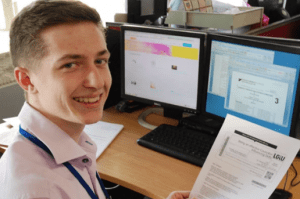 Skills for Stroud is setting the standard for employability activities for young people, providing businesses with accreditation to ensure that their work to help young people genuinely equips them for the world of work. From work experience to mentoring, mock interviews and helping young people with their future career choices, investing in young people today provides a great way to attract new recruits and build the workforce of the future. 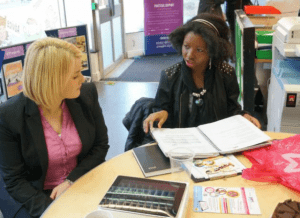 In conjunction with schools, colleges and universities we provide mentoring, mock interviews as well as Dragons Den and The Apprentice type events. For more information about our investment in the workforce of the future click here. The Work4Youth campaign is an initiative designed to help young people get into work by partnering with Young Gloucestershire, a county-wide youth work charity that supports young people to achieve their full potential, First Base, as part of their ‘Work4Youth’ programme, offer events aimed at improving young people’s employability. For more information, you can click here. Wellbeing – it’s not just about free fruit! Has the annual review had its day? At First Base we’re an exciting, busy team working to support your requirements throughout the M4, M5 corridor.